The Chinese developer received the loan for the tallest Holiday Inn in the world from Ladder Capital. 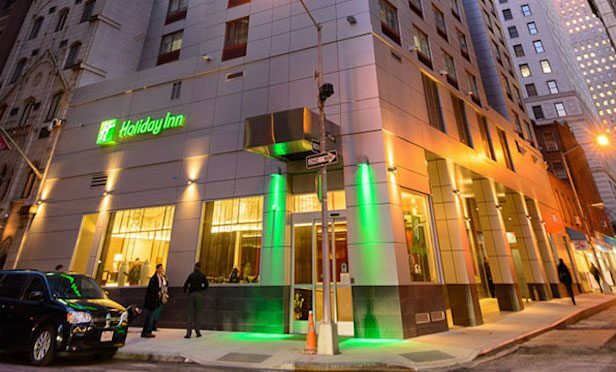 NEW YORK CITY—Under the limited liability corporation, Golden Seahorse, Jubao Xie received $137 million in senior, non-recourse, permanent financing for the Holiday Inn, Manhattan – Financial District. Built in 2014, the 50-story, 492-key hotel is the largest Holiday Inn in the world. Located at 99 Washington St. between Rector and Carlisle streets, the hotel is near the World Trade Center.